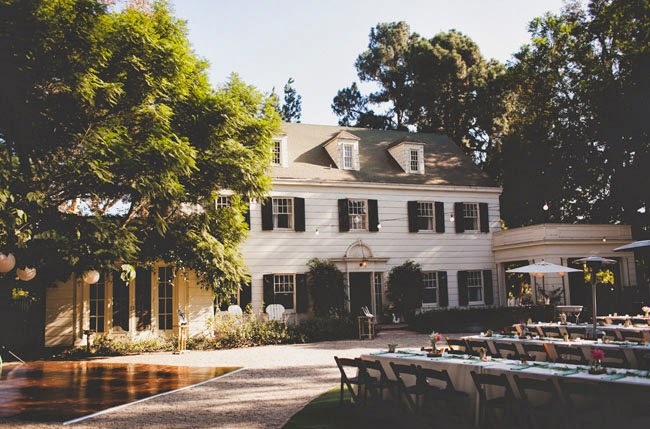 Featured this week on Green Wedding Shoes, Kate and Nick said "I do" at the beautiful McCormick Home Ranch in Camarillo, California. 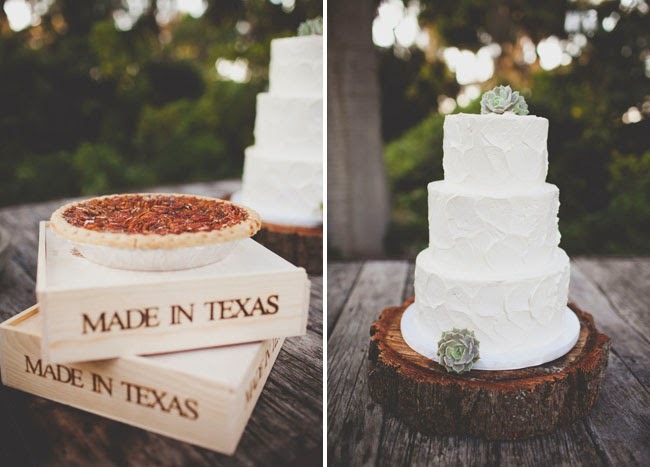 Their simple and charming wedding was full of personal touches: the bride wore a vintage-inspired dress handmade by a friend; the groom's father cut wood rounds from Oregon for the table centerpieces, and Kate (from Texas) represented her home state by serving pecan pie at the reception! 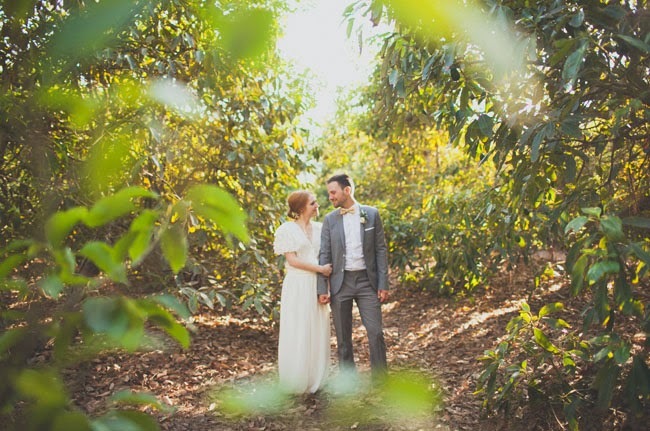 For their guestbook, Kate and Nick chose the Signature Conifer Tree, which worked perfectly for their unique and rustic event. 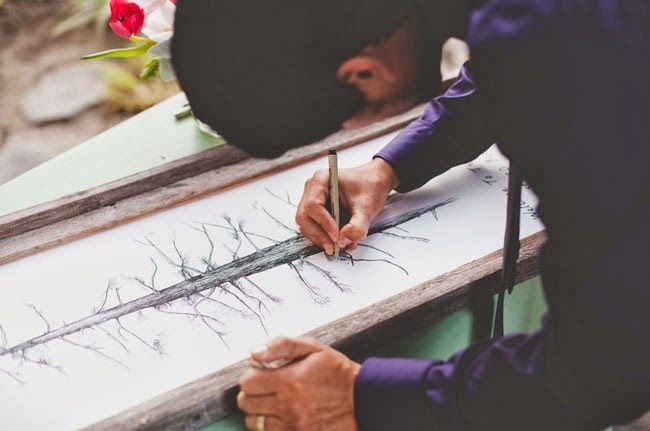 For this tree, guest signatures fill in the branches instead of thumbprints, and the result is beautiful in its simplicity. 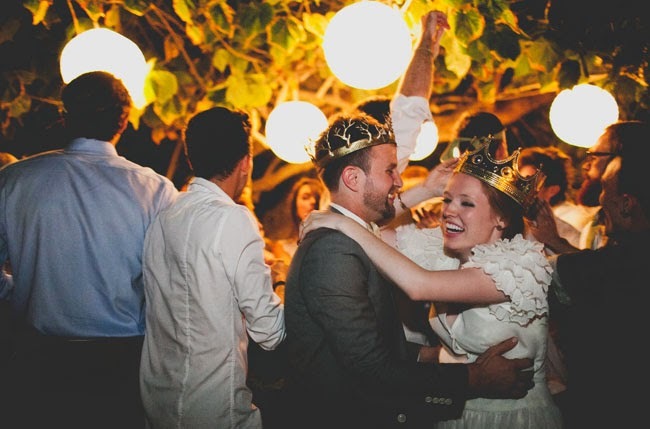 For more on Nick and Kate's wedding, see the post at Green Wedding Shoes. A couple months ago, in Austin, TX, I came across this retro VW Kombi van in the parking lot of a famous independent bookstore. Everything about the scene made sense to me: Austin (famous for its hippie vibe), the bookstore (known for its independent spirit and extensive travel book section), and the VW van (it even had a cheery license plate from Hawaii!) I loved imagining where this "minibus" had been, and where it was going. Over the years, the Volkswagen "Kombi" van has become a travel icon. It's the the longest-produced car in automotive history, originating in 1950 and ending its production in 2013. Also known as the "Type 2" (the Beetle is "Type 1"), the Kombi gets its name from the German word kombinationskraftwagen. Though the name means the van can combine both passengers and cargo, I like to think it's about emphasizing togetherness: the bringing together of all types. (The name's also really fun to say out loud, in your best German accent). 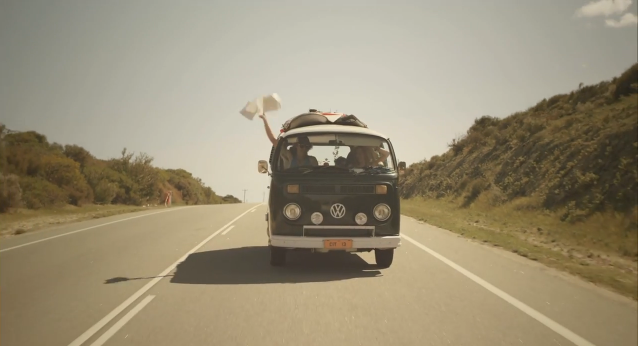 In the '60s and '70s, the Kombi became mainly associated with hippies and surfers. People also used it to camp and travel the country, turning it into a mini-home-on-wheels. Today, the van exemplifies free spirit: the excitement of love, the memories of family, or the adventure of the open road. 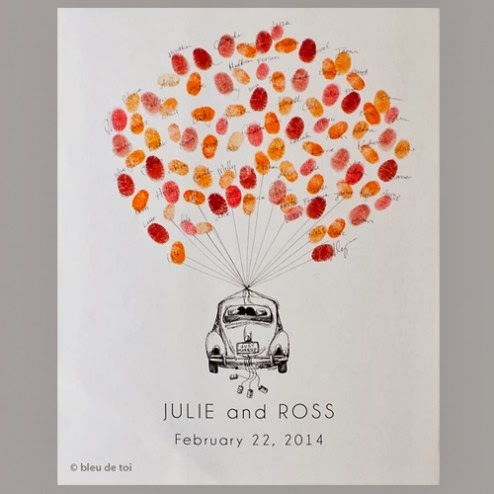 Bleu de Toi first started drawing the Kombi out of response to the popular "Love Bug" balloon guestbook. So many interested clients contacted BDT over the years, that the Kombi was designated a standard design. Clients who order the Kombi usually have a special story to go along with their drawing--a family camping vehicle, or a "love van." Often, their Kombis have decked-out interiors and special personalities. 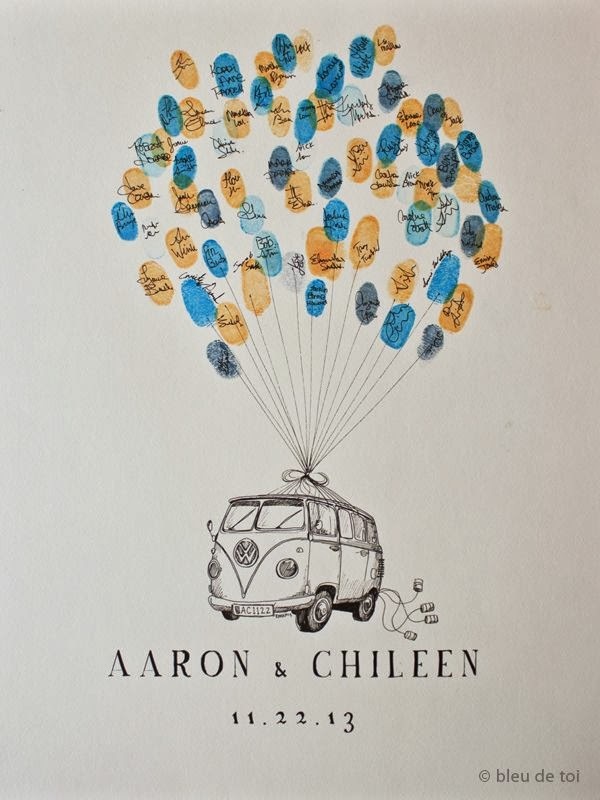 But whatever the reason behind the guestbook, the Kombi is a great symbol for starting your life together. We wish you peace, love, and joy on your groovy adventure! BDT celebrates a few milestones this week. 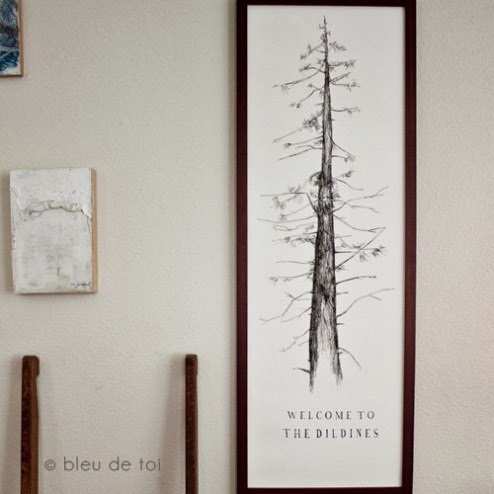 Four years ago, on the first of March, Bleu de Toi opened its Etsy store. Josh and Hilary operated out of their small first apartment, drawing trees on their coffee table and using their living room as an office. 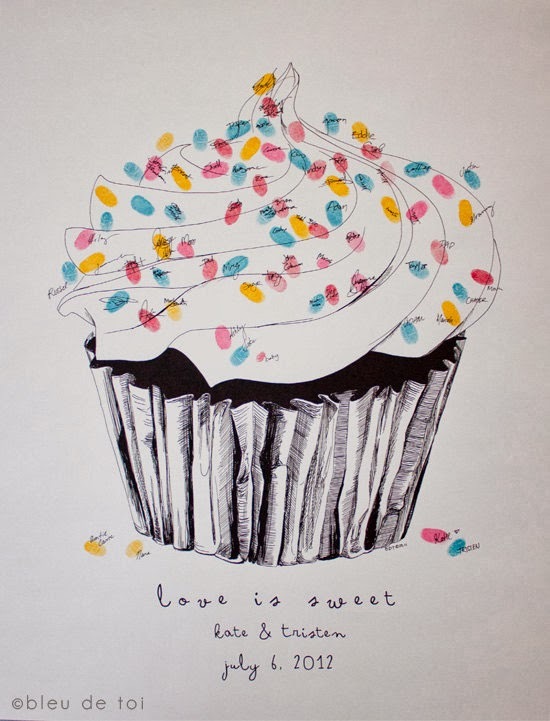 Happy Birthday to Bleu de Toi, and happy shopping to you! 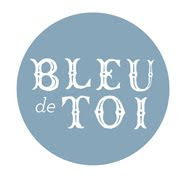 We are really excited about a special opportunity we have this week to showcase Bleu de Toi's products. 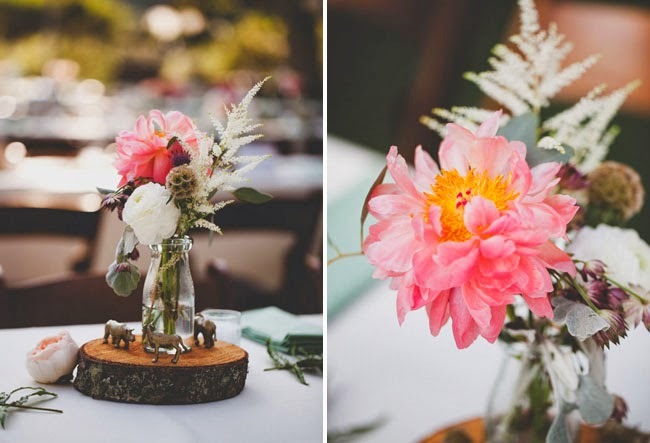 In the past, BDT has been featured on the beautiful blog Green Wedding Shoes (both for Hilary and Josh's wedding, as well as in other featured weddings that use our products). 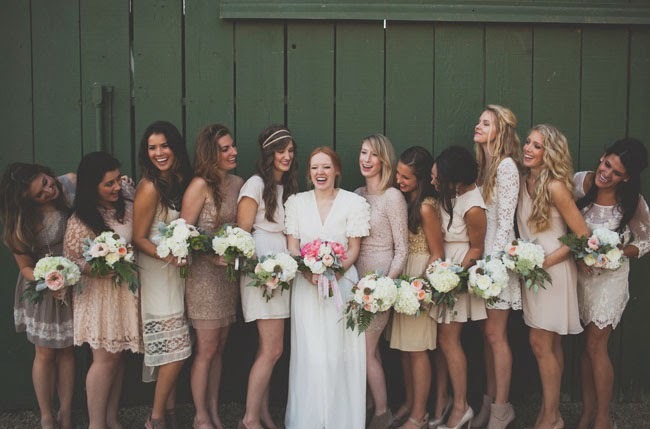 For this week, March 3rd-9th, Jen from Green Wedding Shoes is guest-editing the online market Brickyard Buffalo. She personally chose some of her favorite vendors to showcase, and Bleu de Toi was one of her picks! 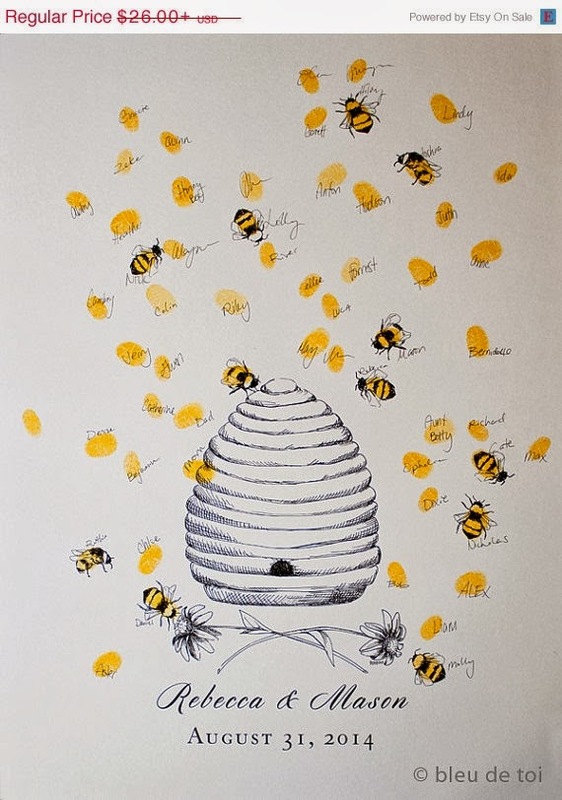 Just for this week, our Love Bug guest book, and signature Conifer tree, are offered on sale through Brickyard Buffalo. 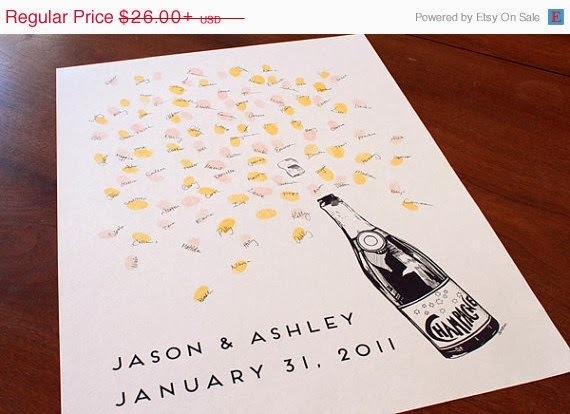 Be sure to check them out, as well as the other fun things that Jen handpicked to promote!